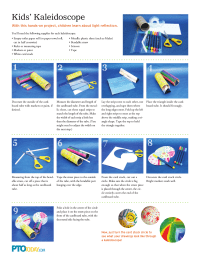 Printable directions for a cute hands-on kaleidoscope project that helps children learn about light reflection. 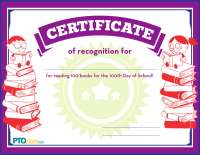 Cute certificate to give to students who meet a classroom challenge to read 100 books for the 100th day of school. 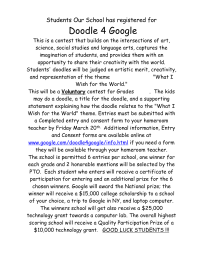 We have an Art Show/Gallery after our Reflections Art Contest. 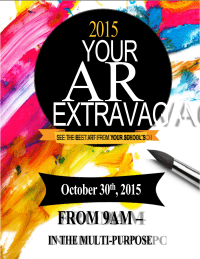 This is a poster/flyer promoting the Art Gallery, you will most likely need to download the fonts used, or you can change them to match your own style. 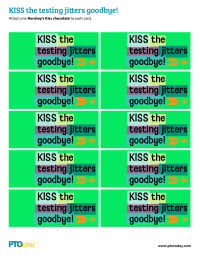 Current fonts used can be download free on DaFont and they are: Bebas, Bebas Neue, Brands Kidnapped, and LaurenScript. 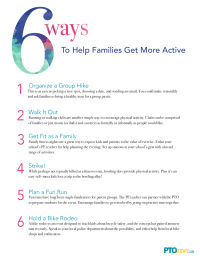 Help encourage a healthy lifestyle with suggestions for ways to get active as a family. 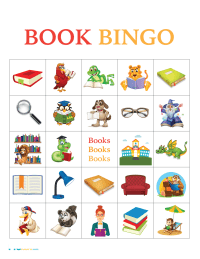 Cute tags to print and attach to snack-size bags of Goldfish crackers as a testing-day pick-me-up for students. 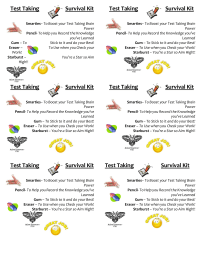 Testing Day Printable: Stay Sharp! 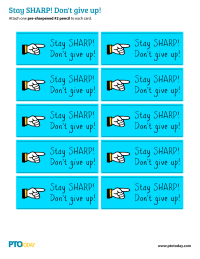 Cute tags to print and attach to sharpened pencils as a testing-day pick-me-up for students. 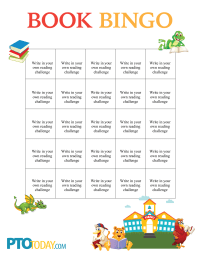 Cute tags to print and attach to rolls of Smarties candies as a testing-day pick-me-up for students. 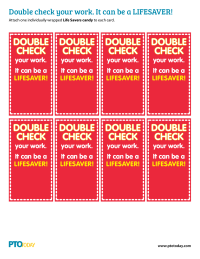 Cute tags to print and attach to a wrapped Life Savers candy as a testing-day pick-me-up for students. 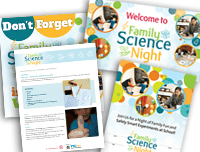 Cute tags to print and attach to Hershey's Kisses as a testing-day pick-me-up for students. 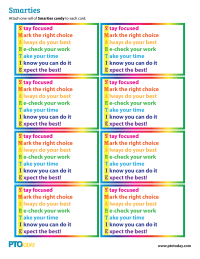 An article to share with Spanish-speaking parents that explains various grading systems used in schools today. 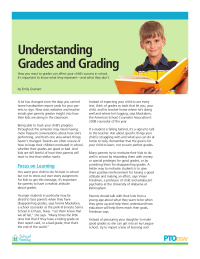 An article to share with parents that explains various grading systems used in schools today. Test taking can be stressful. Our PTSO gives out a little 'survival kit' for our 5th grade students who are taking the state placement tests. 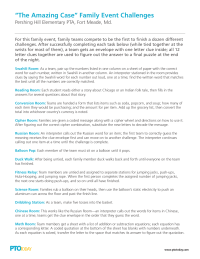 Descriptions of the 12 challenges used at "The Amazing Case" family night from the Pershing Hill Elementary PTA. 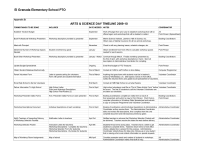 Descriptions of the 28 different workshops for students held during Arts & Science Day 2010 at El Granada Elementary in El Granada, Calif. 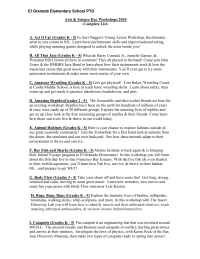 Detailed outline of tasks to put together a whole day of workshops for students.